An important factor in running a successful table quiz is the location. There are very few perfect venues - but you just need to find somewhere that is a good-enough fit for your needs - unless you are one of those lucky clubs/organisations whose own clubhouse is just perfect. 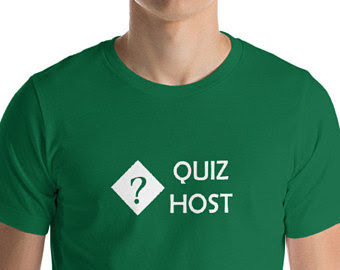 Possible places to host a table-quiz include pubs, hotels, sports-clubs, community centres, church halls, clubrooms, etc - basically any public venue that is let out for holding events. Is is warm in cool climates. cool in hot ones? Somewhere that people will be willing to attend an event? 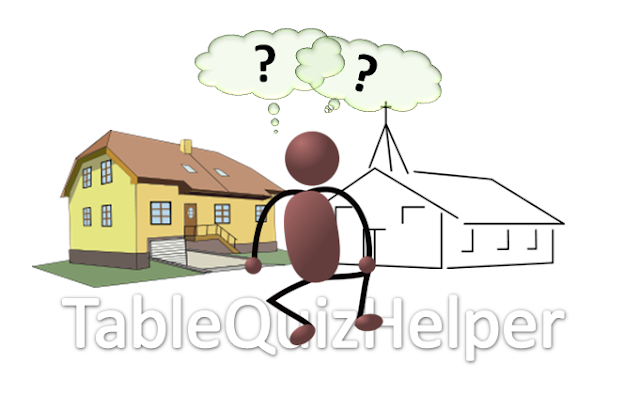 Is it a well-known event venue, which attracts an audience in its own right - and will some of them take part in your quiz? Do people know how to find the place? Is it at attractive place? Will your target participants be interested in coming to a table-quiz here? Will the building attract them? Can publicity material be displayed promoting your quiz - and will it be seen be lots of people? Will the staff suggest it to their regular customers? How easily can your desired participants get to this place? If they drive, is there adequate parking? Is there a public transport option? Space for drop-offs? Do any of the people who are likely to (want to) take part have mobility problems - can wheelchair users get in, and get to the toilets? Will there be children present - will the layout let you supervise them? Are there any other special needs that your particular group has, eg an induction loop for people with hearing aids? How many people can the place cater for, when they are seated in small groups around tables? Is there a rough match between this and the number of participants you are hoping for? Remember that a too-big space can be as bad as a too-small: it's not fun being a group of twenty people in the corner of a ball-room made for 500. Is there space for a scoreboard and for people to mark the answer sheets without interruptions. Will there be a someone (staff member or volunteer) on hand to let you in, and lock up afterwards? Or do you need to pick up a key beforehand? Is there a key-deposit? Is is it available on your preferred date and time, or another suitable day? Remember to allow for time to set up beforehand, and clean-up afterwards. Are these provided, or do you have to pay extra for them - or bring them in somewhere else? Quiz-participants need to hear the quiz-master / MC. This may be possible if you have someone with a loud voice, in a room with good natural acoustics and and small crowd. But in other situations, you will need to either use the "house" (ie built-in) sound system, or to provide your own portable system. Are suitable refreshments (tea and coffee, or a bar) available? If not, is there space where you can get people to provide them - including tea-pots, cups-saucers, knives-forks-spoons, plates, etc. Or do you have to bring everything? Is this provided or do you have to do this? If you want to play music, the place generally needs to have a performing-rights license. If they sell alcohol, they need a liquor license. If they provide, food they need food hygiene certificates. In some places, all public buildings need a certificate of occupancy or similar. What is the charge to use this place? Does that include VAT/sales-tax/GST/ etc? What about public-liability insurance for your event? Are there any extras - eg coin-operated heating or lighting? Is it within your budget? Many of these features apply to any event that you may organise. But some (eg tables, PA) are particularly important for running a quiz-night. The most important factor is that you consider the specific features needed for your quiz and your event plan - making sure that you consider the needs of your guests and also all your team-members. There are very few absolute "yes/no" factors when you are finding somewhere to hold a table-quiz. Usually choosing a suitable place comes down to finding a good-enough combination of price and features. And once you have found a location that meets your needs, manage your relationship with the place and the people who own or run it carefully, so you will be welcome back there again next time you run a table-quiz. This is a form for when you are looking places where you might hold your quiz. It gives you a place to record information, and helps make sure that you don't forget any important questions. Download a printable version by clicking the picture on the right. Before you use it, look at the suggestions, and decide what factors do not apply for you.